Can we all agree on one thing? 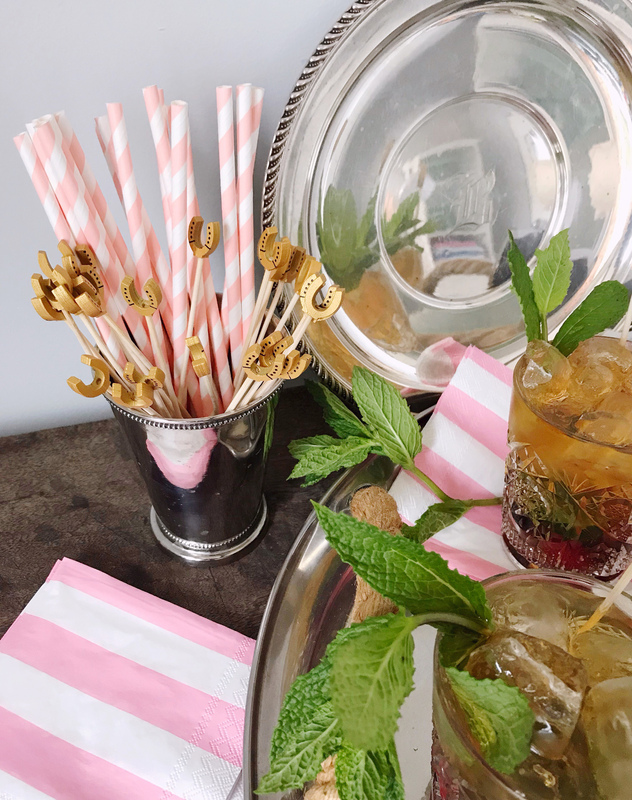 The absolute best reason to watch the Kentucky Derby is so that you can have an solid reason to mix up an ice cold mint julep! 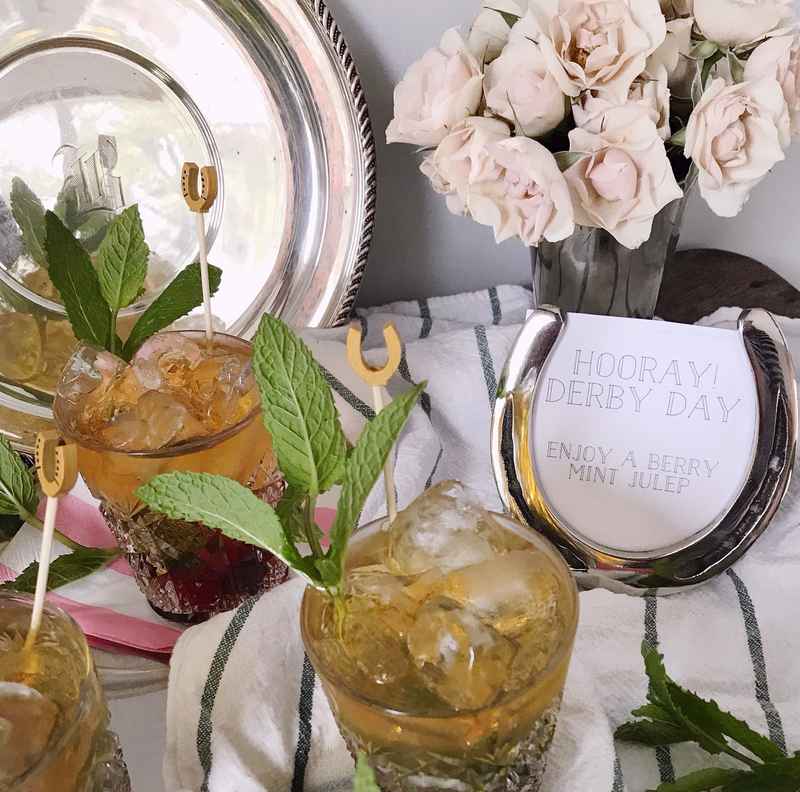 I realized this week that the derby is coming up in a few weeks, and decided to try my hand at mixing up a berry-muddled version of this classic cocktail. The most delicious mint julep I’ve ever tasted was made at the Greenbrier Resort in West Virginia — the drink was brimming with crushed ice, fresh mint leaves, and a pretty dusting of powdered sugar — YUM! 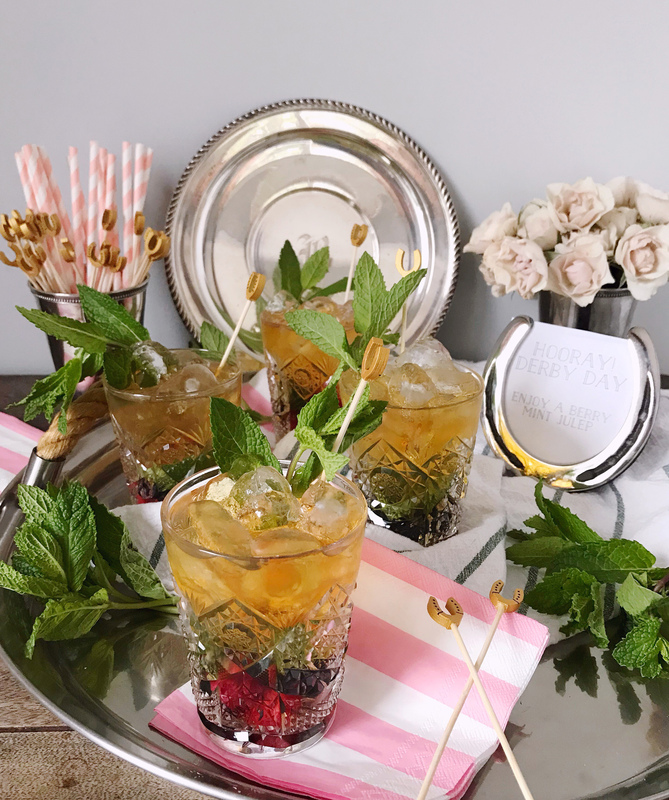 I gave the derby staple a slight spin with some muddled mixed berries in the bottom of vintage cut crystal glasses that my mother-in-law just passed down to me, and gave them some Kate-flair with horseshoe drink stirrers too! Scroll down for the full recipe. 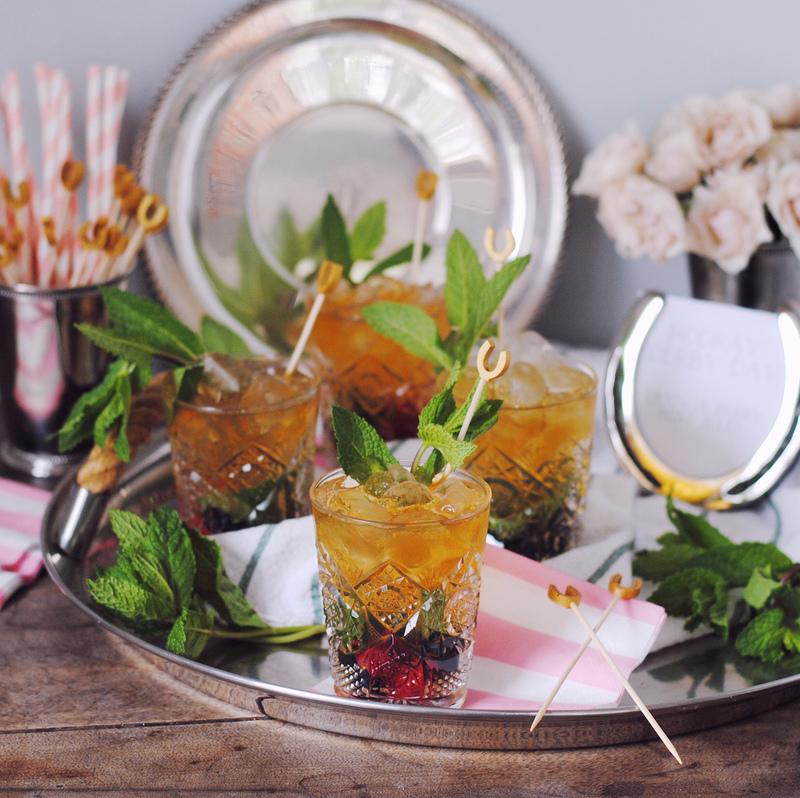 In a glass, muddle berries and mint leaves. Fill glass with ice and pour simple syrup and bourbon over the top. Stir to combine and garnish with additional mint leaves. The Download – 04.19.18 My Favorite Eco-Friendly Products. One Response to "Mixed Berry Mint Juleps." This sounds super yummy and I love the stirrers! Saving this for next year!